This kawaii Marshmallow Super Jumbo Slow Rising Squishy looks so cute and looks just like a giant marshmallow and at 14 cm long it is huge and super slow rising too. 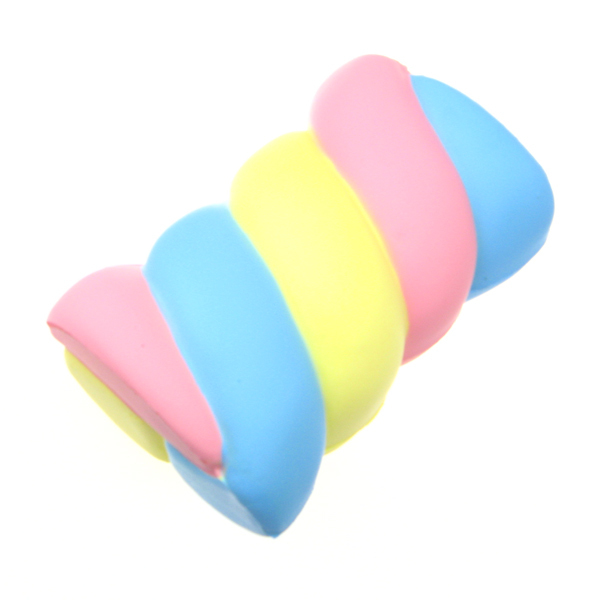 It has stripes of pastel colours like blue, pink and yellow going across the whole squishy and is scented too. Supplied in a Japanese retail packing.